WINNIPEG – Delegates to Lutheran Church–Canada’s 11th Convention elected Rev. Timothy Teuscher to serve as president for the next four years. The Canadian Lutheran conducted an interview with the new president to learn more about him. What priorities have you identified for your presidency and for Lutheran Church–Canada (LCC) over the next four years? Such order or priorities begin with the order our Lord Himself has established – the order or office of the holy ministry; i.e., the proper calling of pastors by congregations to preach and teach the pure Word of God and administer the Sacraments according to Christ’s institution; the supervision and support of pastors; the recruitment of future pastors; and the need to address the matter of non-calling vacancies and the status of retired pastors. It includes, as a result, matters pertaining to the proper order of worship, the financial support of Word and Sacrament ministry in congregations unable to do so on their own, and is the bottom-line, so to speak, of missions. And it is also the basis upon which and the reason why congregations and the synod itself are constituted and ordered. 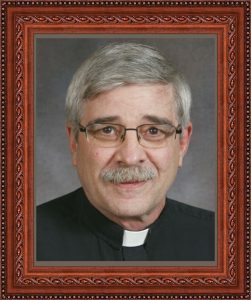 You have served all of your pastorate in the East District, and the church-at-large as a member of the Commission on Theology and Church Relations in the ‘90s. What are your plans to reacquaint yourself with the national church? Since I am unknown to many in LCC, I decided, soon after my election as president, to have my installation in Winnipeg rather than in the East District. Shortly after the convention I received invitations to attend a church workers conference and a circuit forum in the ABC District both of which I immediately accepted. I plan to attend more gatherings in the ABC and Central Districts in order to get to know the pastors and people and to hear about some of the concerns and issues they are facing. You are president at a turning point in the history of LCC; the new structure is a work in progress and calls for a major shift in how the church operates. How will you address all the changes required? The list, as it were, is almost endless and there are a number of practical matters that will need to be addressed – unified compensation guidelines and remittance forms for congregations; simplified and standard forms for Regional Pastors and Circuit Counsellors to use in their visits; establishing a format for assessing financial requests from missions and congregations across Canada; job description for and the appointment of the new national mission executive who is to be in place at the beginning of next year; setting up some type of policy and procedures for the new Regional Councils and Convocations; Memorandums of Understanding to be written between LCC and various auxiliaries and organizations. These, and many other re-structuring matters, will be dealt with not just by myself, but by the Vice-president, the Board of Directors (BOD), the Committee on Constitutional Matters and Structure, the Council of Presidents (President’s Ministry Council), the Treasurer (Administrator), and, more than likely, by various committees appointed by the BOD and in consultation with the three existing districts. 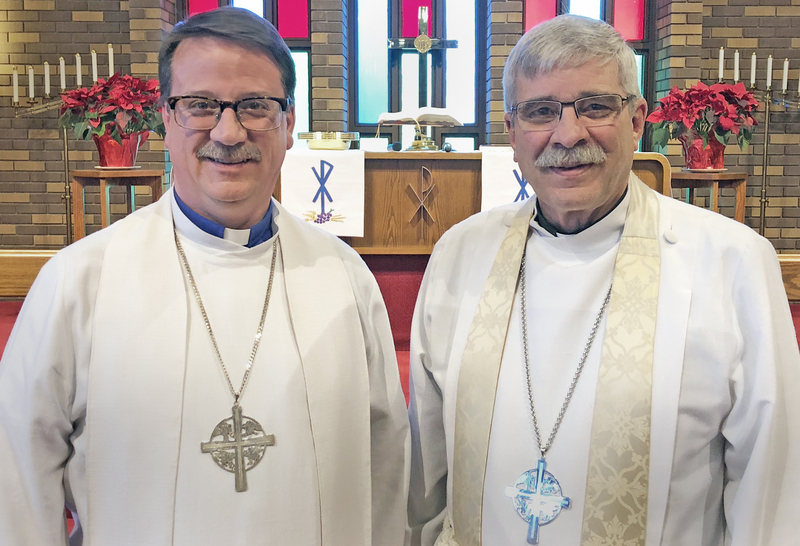 What do you see as Lutheran Church–Canada’s role in the context of Lutheranism and the Christian church in Canada and internationally? 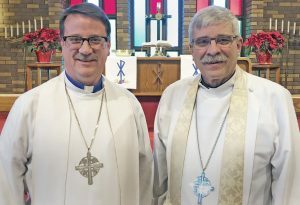 Apart from what I have read in The Canadian Lutheran or in convention reports, I have little experience with and knowledge of LCC’s role in these matters. Past President Bugbee gave me a “crash course” last fall, but this will a learning curve for myself and I will lean heavily upon and seek the counsel of those in our synod who are currently involved with such endeavours—whether it be in the foreign missions of LCC, dialogues with other church bodies, or our work together with various partner churches around the world. From your perspective, what major challenges face LCC and how do you believe they can be addressed? Aside from those mentioned above, there is, as I stated in my address to the convention last fall, the reality of aging and declining congregations . . . and with that declining revenue for congregations and the synod; the turmoil in many congregations due to the financial collapse of the ABC District; the fact that we are living in an increasingly pagan environment and godless nation and anti-Christian society; and, as a result of all this, the temptation to thus ignore and forsake our priceless Lutheran heritage in an effort to survive and supposedly be more relevant and appealing to people and so build and grow the church by our means and efforts. In the letters to the seven churches in the book of Revelation, our Lord Himself tells us, in effect, how to address these and any challenges that might come our way; namely, to “hold fast what you have until I come,” to “remember what you have received and heard, keep it and repent” (Revelation 2:25; 3:3). I was born and raised in North Dakota where my father served as pastor in Kongsberg and then Great Bend, and attended high school in Scottsbluff, Nebraska. Following stints at colleges in Minnesota, Colorado, and Nebraska; I graduated from the University of Nebraska in Lincoln with a BA degree in ancient and medieval history. It was shortly thereafter that I enrolled at Concordia Seminary in St. Louis, Missouri. President Teuscher and his wife, Paula. While attending college in Seward, Nebraska I met my wife of 43 years—Paula Anderson. Unlike myself who grew up in the US Midwest, she, due to her father working for an oil company, was born in India and also lived in Pakistan, Egypt, Greece, and Norway, with intermittent stops in Oklahoma. She attended St. John’s College in Winfield, Kansas and graduated with a BSc degree from Concordia Teachers College in Seward. She enjoys doing cross-stitch and other kinds of needlework. The Lord has blessed us with four children and three grandchildren. Joshua and wife, Nina Cesaratto, and their 6-year-old son, Roman, live in suburban Seattle, Washington. Following a few years at colleges in New Mexico and Georgia, Josh graduated from the University of Nebraska with a degree in history. He worked for a number of years on the grounds crew at Wrigley Field in Chicago, as head groundskeeper at the baseball stadium in Ottawa, on the athletic fields for the University of Washington, and is currently employed by the Seattle parks department. Nina is assistant manager at the Seattle Symphony box office and works part-time in the box office for the Seattle Mariners. Amanda and husband, Matt Pollock, live in Chicago, Illinois. She graduated from Ottawa University and did post-grad work at the University of Louisiana in Lafayette before graduating with a Doctor of Audiology degree from A.T. Still University in Mesa, Arizona. She is currently working as an audiologist at a hospital in Chicago. Matt is the communications director for the Chicago Volunteer Legal Services. Jennifer and husband, Chanmo Park, and their children, 7-year-old Isaac and 5-year-old Chloe, live in Suwon, South Korea. She graduated from the University of Western Ontario in London and received a Master’s degree in teaching English as a second language from Boston University and has taught English in South Korea on three separate occasions. Chanmo is running a social-psychology research institute under the auspices of his former professor at Harvard University. Kimberly, Jenn’s twin sister, lives in Sparta, Ontario. She graduated from the University of Western Ontario in London and received a Master’s degree from the same in Library and Information Science. She has worked for the U.S. National Park Service at the FDR Home and Vanderbilt Mansion in Hyde Park, New York; and at the Maryland Archaeological Conservation Laboratory. For the past number of years, she has been the curator of the Gay Lea Dairy Heritage Museum outside Aylmer, Ontario, but is now in the process of looking for a new job in the museum, library or archives field. What pastimes, hobbies, or sports do you enjoy? I like to watch most sports, especially baseball – having played and coached for many years until finally “hanging up the spikes” a few years ago, and I look forward to attending a few Winnipeg Goldeyes games. I dabble at fishing and golf, and enjoy visiting museums and art galleries with Paula, reading novels of various genres, and listening to classic rock music and the blues. 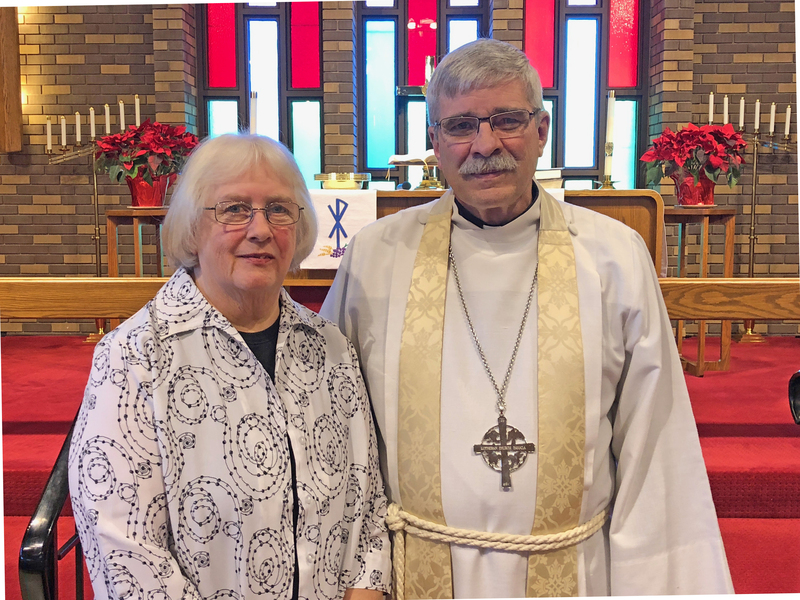 How can God’s people in Lutheran Church–Canada support you? I would ask for your patience, cherish your prayers, seek your counsel and advice, and urge individuals to be ready and willing to serve in various positions when and if called upon – and to do so in light of the apostolic exhortation: “All of you, have unity of mind, sympathy, brotherly love, a tender heart, and a humble mind” (1 Peter 3:8).